The Tonido Plug is a simple, small NAS and server device all wrapped up into one tiny unit. 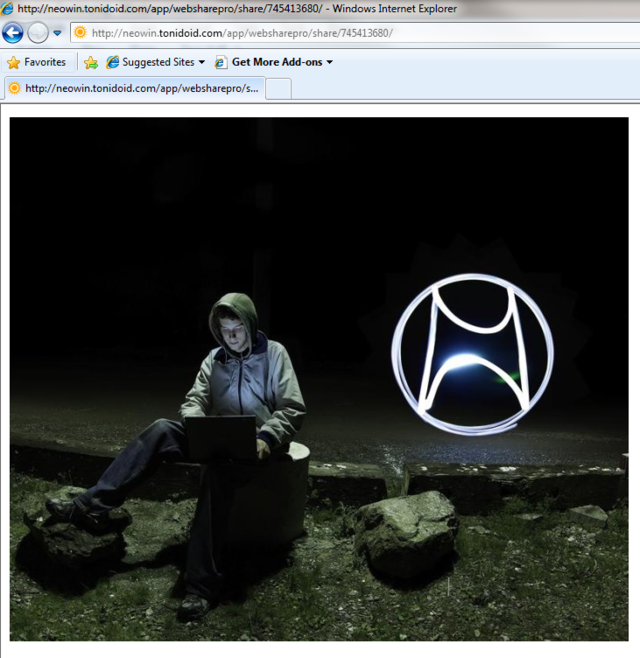 The Plug allows you to access your files and media from anywhere around the world with an Internet connection. 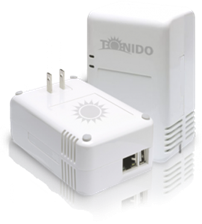 Setting up the Tonido Plug was an absolute breeze, you just plug it into the wall, connect your Ethernet cord and optional external hard drive, and follow the quick setup guide and you're all set. Setting up everything took me less than 5 mins to configure my account and update all the software to get the plug ready for immediate access. 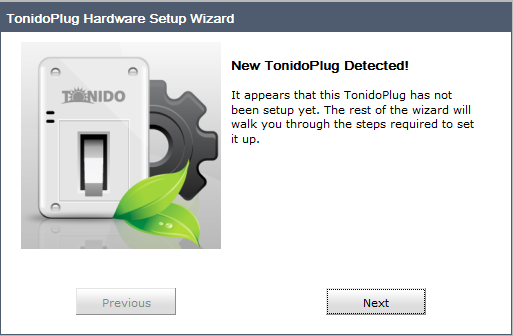 The Tonido Plug comes with a 1.2Ghz ARM processor, 512MB of DDR2 RAM and 512MB of flash storage. The tiny device offers a Gigabit Ethernet network adapter and a USB 2.0 interface. The device only consumes between 5W and 13W on typical use, which works out to be roughly 50 cents a month to run. 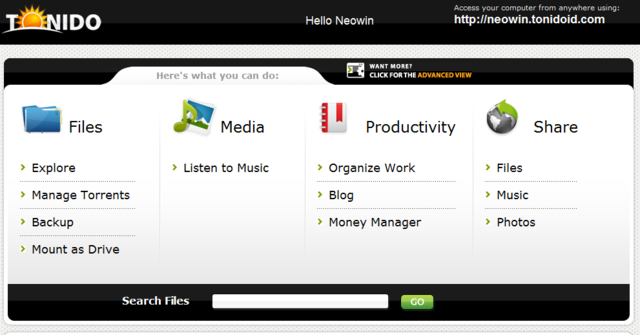 The software on the device comes with an easy to navigate layout and colourful interface. 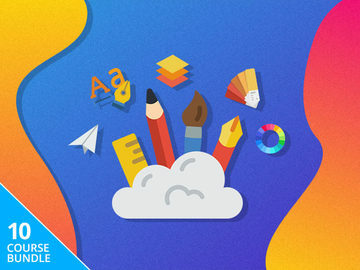 The software includes a number of applications, including explorer, torrent manager, websharepro, jukebox, backup and lots more, all of which can be activated and updated individually, or all of them with a click of a mouse. 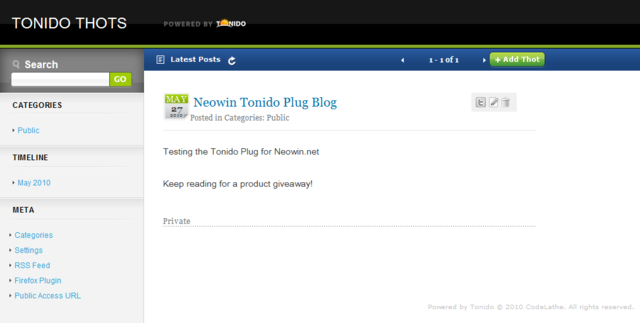 The software also includes a store, accessible right from the devices control panel, including applications like WordPress, which can turn your Tonido Plug into a blog. 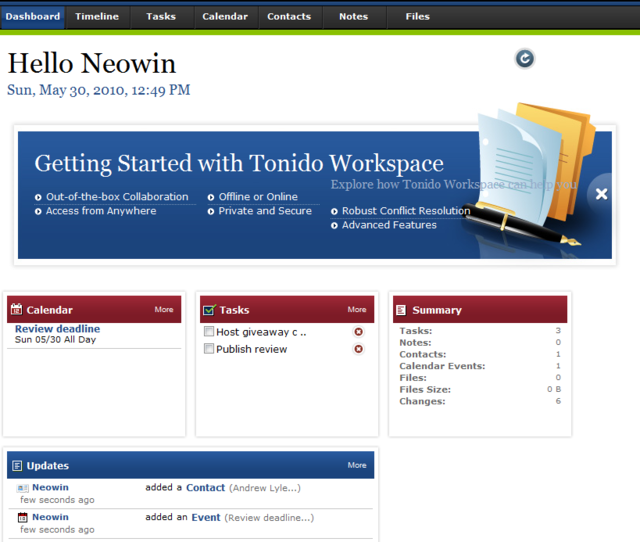 Also included in the software are productivity tools, including work organizer, tonido-style blog and money manager, for tracking your tasks, calendar items, contacts and deadlines, sharing files, music and photos. The software has a built in explorer, torrent manager, backup tools and the ability to mount Tonido as a drive. Like all good NAS devices, Tonido lets you turn your device into a torrent client, allowing for remotely download from anywhere with an Internet connection. Torrents can download onto an external storage device (high recommended), or if they are small enough, directly onto the units internal memory. 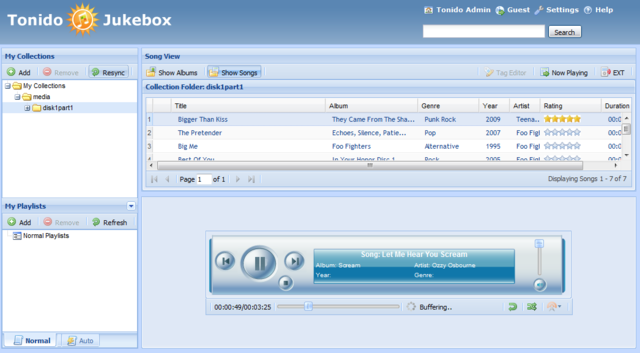 The ability to share photos directly off the device and send to friends is a neat feature, including an online jukebox which allows you to stream your music collection anywhere in the world. unfortunately, you can't stream videos directly from the unit, and requires you to download the file to play it. Flash drives aren't a great choice for use, as I find mine to get very warm when connected for just a short period of time. 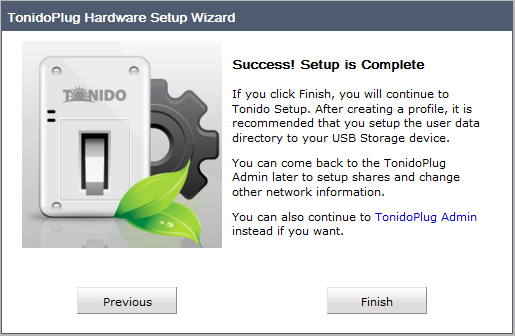 External USB hard drives are a better choice for adding extra shortage to your Tonido Plug. 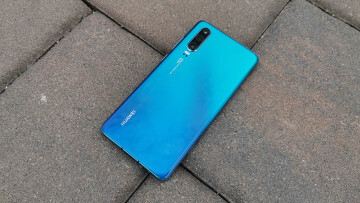 I found accessing the device remotely was simple, and contains the same interface you would see at home, which makes things tremendously easier. Setting up user access permissions was fairly simple too, but doesn't offer much in terms of what parts of the control panel they can access. Some applications allow you to restrict control of use in them, but most of which don't offer a setting to do so. 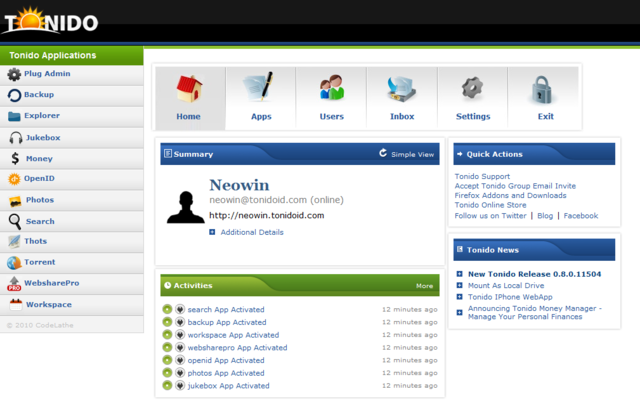 After setting up your device, you can share with friends or access your contents through your own unique URL (http://yourid.tonidoid.com). 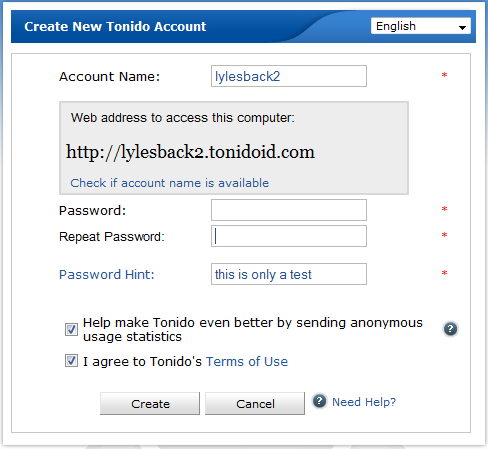 Your Tonido comes with an optional OpenID setting, so you can use your Tonido URL as an OpenID. 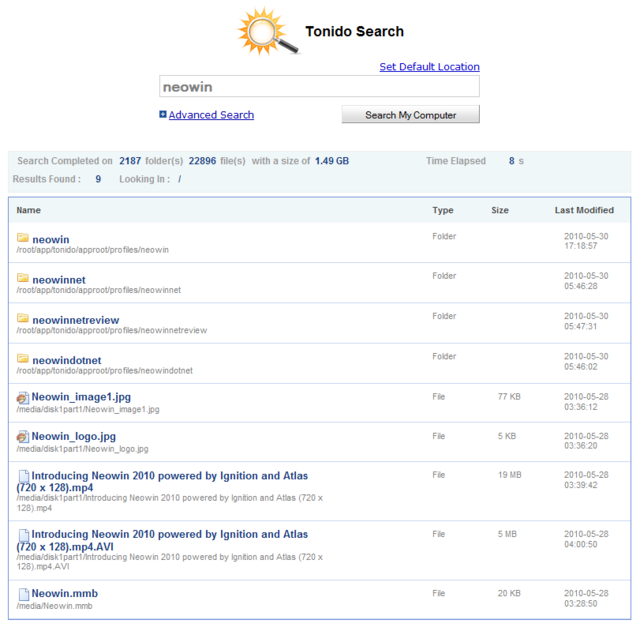 Tonido also keeps your history and logs, letting you see who was accessing what data on your device. 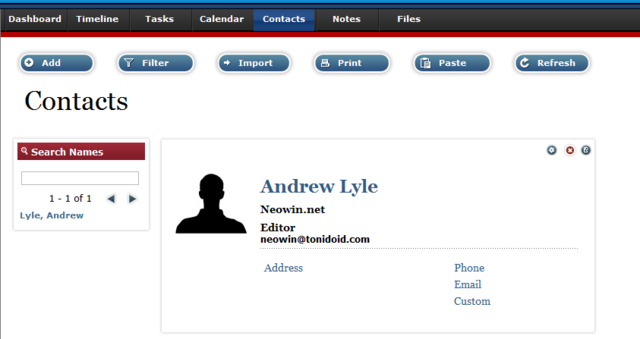 You can also access the handy CPU load and disk usage through the admin panel. 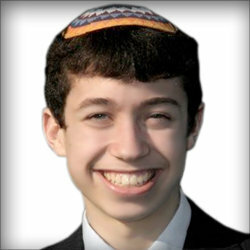 The software needs more user restriction settings, located in a single area, rather than going through each application. Some applications, like torrents, didn't have any user restrictions to set who can manage what you're downloading. 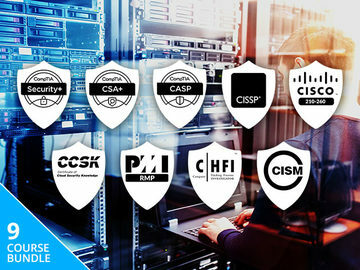 The software should also allow video streaming remotely, so you can access your videos, rather than downloading them to your computer to watch them. This device is small, affordable and powerful. For $99, it's cheaper than any NAS unit I have come across, and the ability to plug in your existing USB external hard drive, makes this device great to own. The device is also very energy efficient, but packs a lot of punch. 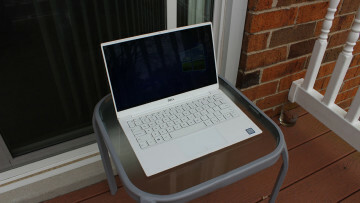 The device works on OSX, Linux and Windows and is accessible as a network drive, which makes dragging and dropping files onto or off the unit a lot easier. 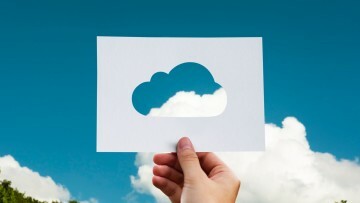 The backup feature is always handy to have, if you don't already use a backup software. The plus also has a UPnP streaming media feature for Xbox360 and PlayStation 3, great for turning your console into a media center, if you haven't already done so. I also really liked the ability to have an internal updating option, so you can keep up to date with the latest security fixes and features, and was all updateable with a single click. Stay tuned during the week, as we are giving away one of these plugs!